And looked truly miserable doing it. The Tonight Show has long been a safe place for celebrities and notable people to appear, erring on the goofy and non-confrontational side of the comedy spectrum. 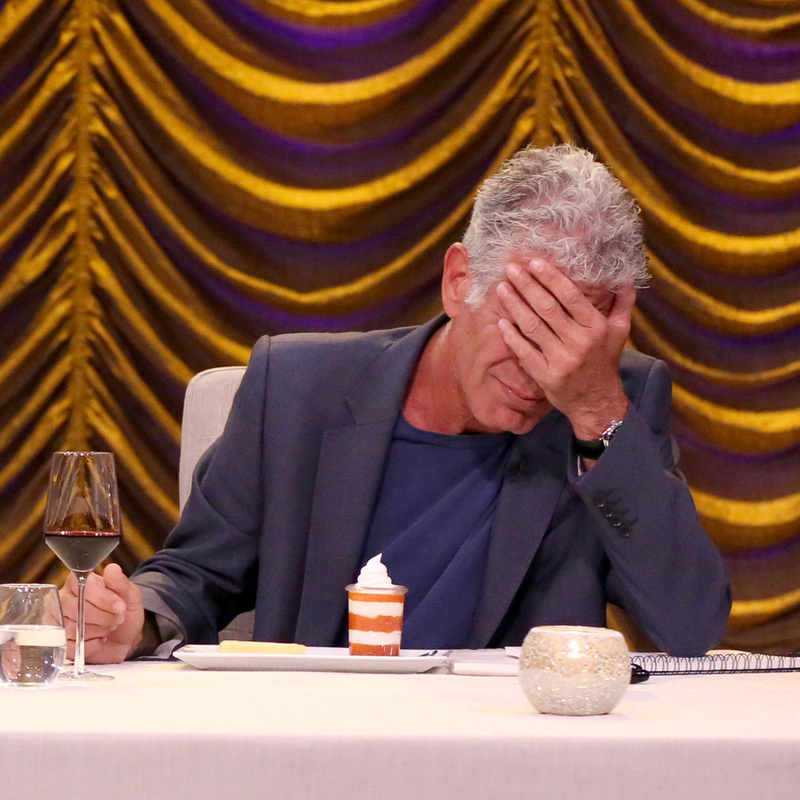 Goofy and non-confrontational aren’t two words you’d likely associate with Anthony Bourdain, and yet with a slough of projects to promote, the Parts Unknown host found himself seated next to Jimmy Fallon and actress Sienna Miller in a “guess the gross ingredient” contest. Bourdain was also promoting his new documentary Jeremiah Tower: The Last Magnificent which he produced and appears in. In the interview portion, he described Tower as “the first celebrity chef… the first glamorous chef, the first chef in America that customers wanted to see in the dining room.” Looking to put it delicately he added, “he was the first chef people wanted to sleep with.” He also credits Tower and his Stars restaurant with spearheading the idea of celebrating regional ingredients and cuisine. But Tower suddenly disappeared and was, in many ways, forgotten. “Why doesn’t everyone know his name?” Then, somewhat serendipitously after most of the principle photography had been completed, Tower surprised everyone, including Bourdain’s documentary crew, by returning to New York after 15 years to take over Tavern on the Green. 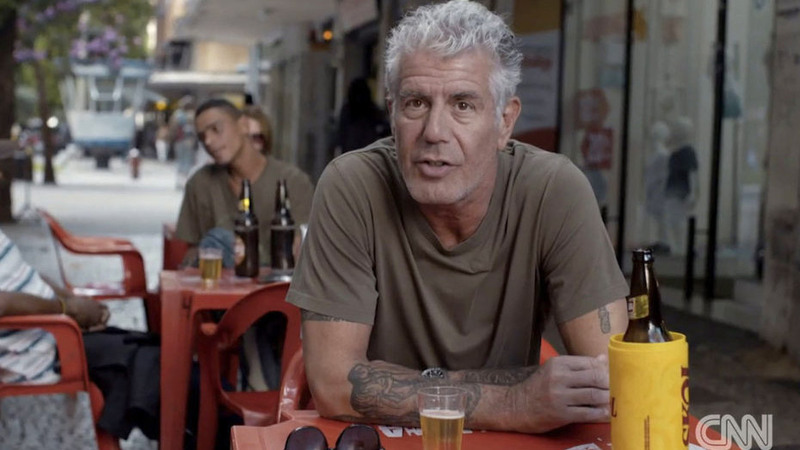 Bourdain recently debuted a travel website that allows fans of his CNN program to immerse themselves in the places, recipes and stories featured on the show.